Welcome to 11o whittlesey! 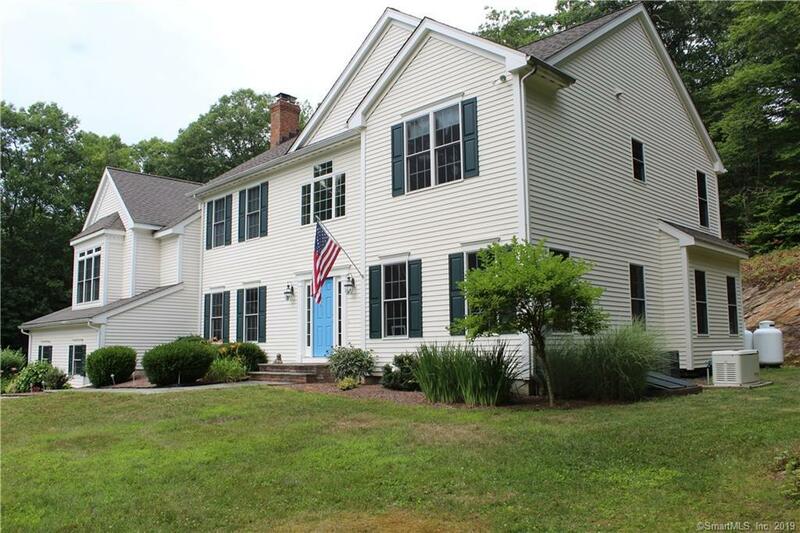 Don't miss out on the opportunity to make this charming colonial your new home!!! As you drive up you'll see that this home boast of 5+acres of gorgeous greenery!!! It's beautifully designed for gracious living and it boasts of plenty of space and tons of sunlight! 9rms, 4 bedrooms and 2.5 baths. 3 car garage with new never rot wood siding, the stunning and open kitchen boasts of an angled center island, granite counter tops, custom cabinets, new pendant lights, new stainless steel refrigerator, new electronic faucet and a new garbage disposal. New ceiling fans and gleaming hardwood floors throughout. The spacious living room is where you can cozy up to the brick wood burning fireplace while enjoying your favorite beverage! Formal dining room, family room and an additional room for an option of an office or a den. The master bedroom has a cathedral ceiling, master bath with his and her sinks, spacious shower and an xtra large walk in closet! All bedrooms have new carpets, new chandeliers, and new fixtures! The laundry room is on the main level, central air, culligan water softener system and more for you to see!!! This Woodbury single family home has 4 bedroom, 3 bathroom, and is currently listed for $529,900. Located at 110 Whittlesey Road , the property features a lot size of 5.4 Acres and was built in 2004. 110 Whittlesey Road has been on bhgre.com for 196 days. This listing is provided courtesy of KELLER WILLIAMS REALTY. Want to see even more homes for sale? On bhgre.com, you can find the latest Woodbury MLS listings, check out photos, save homes, and find the right real estate agent when you're ready to reach out! Website provided and owned by Better Homes and Gardens Real Estate Bannon & Hebert.